I am an artist, researcher, yoga practitioner and teacher living and working in London. I studied Art at Southport School of Art (1967-69) Camberwell College of Art (1969-72) and The Design Course of the English National Opera (1974-1975). I am a qualified British Wheel of Yoga teacher (2012) and am currently training as an Iyengar Yoga teacher. Taught at Central Saint Martins in Fine Art since 1987 and until 2014 was a Reader in Fine Art and co-convener of the Art: Public Realm and Archive Research Group at CSM and a Research Associate at Photograph and the Archive Research Centre, London School of Communication, University of the Arts, London. Continuing at CSM as an Associate Lecturer in Research supervising three PhD students. 2016: Currently researching Censored a new project in collaboration with curator Iliyana Nedkova and Nick Bone, Artistic Direction of the theatre company Magnetic North. 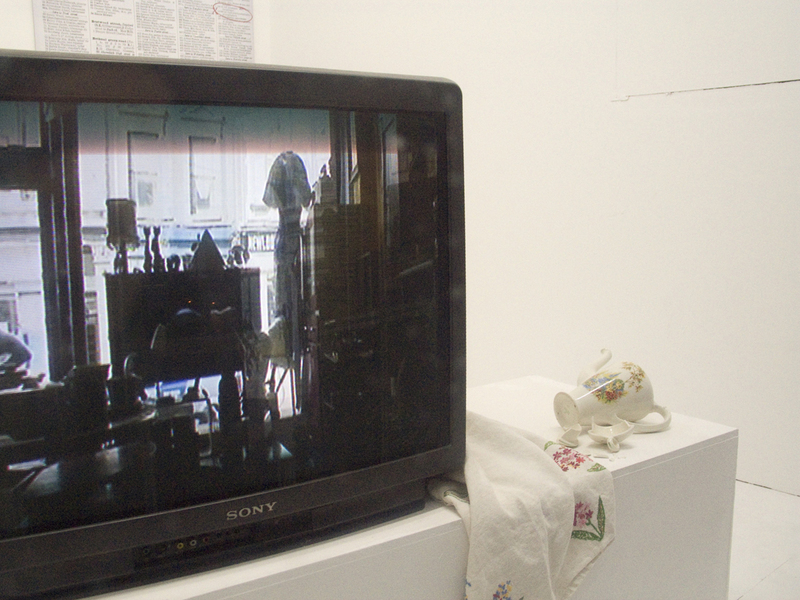 2011 Pam Skelton, Hotel Minerva, video installation, in Archive of Exile, Bank Street Gallery, Sheffield. 2008 Pam Skelton, Ghost Town, Wisconsin Jewish Film Festival, Madison, U.S.A.
Pam Skelton, Burning Poems, site specific video installations at the Anna Akhmatova Museum, St. Petersburg, Russia. 2004 Strangers to Ourselves, 201 St John Street, London. Something Strange: Aine Art Museum, Tornio, Finland. Self ish: Sicult, London and Royal Albert Memorial Museum, Exeter. 2003 Strangers to Ourselves: Hastings Museum and Art Gallery and in locations throughout the S.E. of England. 2002 Perceptions, Museum of Modern Art, Dubrovnick, Croatia. Ghost Town, (2 screenings) Translating Class, Altering Hospitality, Congress CATH, University of Leeds. 2001 Pamela Hurwitz and her Friends, exhibition of new paintings, Birmingham Institute of Art and Design. Pam Skelton, Liquidators 2, Gallery Katva, Rovaniemi, Finland. New Permanent Collection, The Centre of Attention, London. Mute Loops a Filmwaves commission 2001 Lux Centre, London. Pam Skelton, Ghost Town, Brno House of Culture, Brno, Czech Republic. 1999 Private Views, Institute of Contemporary Art Dunaujvarov Hungary. Sale or Return, Fruitmarket Gallery, Glasgow. Private Views, Co- Curated with Mare Tralla, Art Museum of Estonia, Tallinn. Video Medeja, Third International Video Summit Novi Sad, Serbia. 1997 Virtual Vulgarity– International Biennale of the Feminist Art and Histories Conference, Reading University. 1996 The Leading Edge’ The London Institute Gallery, London. Pandaemonium – The Digital Lab, Institute of Contemporary Art, London. The Unthinkable is the Unknowable – Ten Years after Chernobyl, Camerawork, London. Kunstler forchen nach Auschwitz, Neue Gesellschaft fur Bildende Kunst, Berlin, Germany. Art ’96, Letherby Gallery, Central Saint Martins, London. 1995 After Auschwitz – Installations’ Imperial War Museum, London. Pam Skelton, Dangerous Places – Ponar City Art Gallery Leeds. Pam Skelton Dangerous Places – Ponar Gallery 101 Ottawa, Canada. William Geer, Friends past and present – Birmingham City Art Gallery. 1994/5 Pam Skelton, Dangerous Places – Ponar 7 channel video installation and ‘The X Mark of Dora Newman painting installation, Ferens Art Gallery, Hull. 1993 Collaboration with dancer Rosemary Lee and ‘Threads’ Exhibition of paintings at Chisenhale Dance Space, London. 1992 Pam Skelton, As Private As the Law, Galerie L’Ollave, Lyon France. 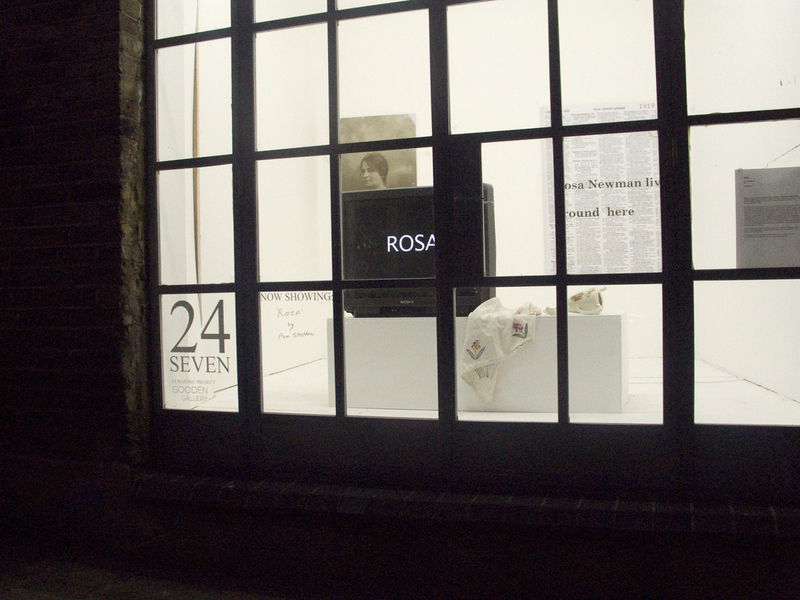 Somatic States, The Quicksilver Gallery, Middlesex University and The Norwich Gallery, Norwich. 1991 As Private As the Law, Galerie L’Ollave, Lyon France. Critical Practices, Bridge Gallery, Central Saint Martins College London. Amnesty International Art Exhibition, Lanchester Gallery, Coventry. Borderlands, Autonomous Cultural Centre, Weimar, Germany. 1990 London Art ’90, Design Centre, London. Central Saint Martins 7th Floor Gallery. Gas Hall Exhibition, Birmingham Art Trust. Birmingham. 1989/90 Pam Skelton, Groundplans, Ikon Gallery, Birmingham. Work from the Birmingham Studios, Lanchester Gallery, Coventry. 6 Artists from the Benjamin Rhodes Gallery, Richard Demarco Gallery, Edinburgh. The Day Book, large group show, Smiths Gallery, Touring. Paradise Lost, Jacqueline Morreau and Pam Skelton, Ikon Gallery, Touring Exhibition. 2011 The Archive of Exile, Symposium, Saturday 9th July 2011, 11.30-4.30pm, Domino Hall, Sheffield Cathedral, Sheffield. 2011 Feb 2011: Conference Paper, ‘Who Lives Where?’ Covert Cultures conference organised by The Centre for Research in the Arts, Social Science and Humanities (CRASSH), University of Cambridge. 2010 Roshini Kempadoo and Pam Skelton presenters at the Pervasive Media Studio, Bristol, Creative Media Seminar. 2009 In Conversation with Jessica Dubow. Dwelling in the Space of Conspiracy (1). Institute of Contemporary Interdisciplinary Art, University of Bath. 2005 You’d Think so Wouldn’t You? Gallery discussion, Pam Skelton in conversation with Rachel Garfield, Arts Depot, London. 2002 Congress CATH, Translating Class, Altering Hospitality, University of Leeds, Video screening, Ghost Town. 2010 Pam Skelton, Journal Article, Antagonistic Dwellings: Surveillance in Stasi Germany, An Art Project in Special Number, Cityscapes of the German Democratic Republic, ed. Renate Rechtien, in German Life and Letters Volume LXIII No. 4. October 2010. (Wiley-Blackwell), pp 458-474. 2000 Pam Skelton introduction, ‘shifting subjects – beyond the east-west divide’ Ed.. Dimitrakaki, A, Skelton, P, Tralla, Private Views – spaces and gender in contemporary art from Britain and Estonia pp10-17 (WAL/IB Tauris 2000). 1996 Pam Skelton, ‘Pusca Vodica’, numero 5 Preoccupations (Association Galerie Libraire l’Ollave) Lyon, France 1996, p.5. 1994 Pam Skelton, Dangerous Places, numero 3, Preoccupations Association Galerie Librairie l’Ollave, Lyon, France 1994. pp. 1 – 8. Article, Pam Skelton, Women in Art Education, Circa January/February, 1986. 2011 Angela Dimitrakaki,Τέχνη και Παγκοσμιοποίηση [Art and Globalisation], Hestia (2011, language: Greek). 2005 Angela Dimitrakaki, ‘History, Theatre and Video Art: Pam Skelton’s Burning Poems’ (in English and Russian) in the exhibition catalogue Burning Poems, St Petersburg, Anna Akhmatova Museum, 2005. Commissioned by the British Council. Exhibition catalogue. 2004 Ingeborg Reichle, ‘Visionen vom Neuen Menschen?’ Kunst im Zeitalter der Gen-und Reproduktionsmedizin pp. 117 – 129 in Ins Machbare entrenzen, Utopien und alternative Lebensentwürfe von Frauen. Ed. Kirsten Beuth, Annette Dorgerloh, Ullrike Müller, Centauris Verlag, Herbolzheim, 2004. 2004 Angela Dimitrakaki, ‘Femininity and Utopia in Women’s Film and Video’ in Medien Der Kunst: Geschlecht, Metapher, Code, ed. Susanne von Falkenhausen, Silke Forschler et al. Jonas-Verlag, Germany. Bernard Hoepfner, ‘Pam Skelton, As Private as the Law’ , Journal Le Main du Singe, May 1991, Lyon, France. 1988 Max-Wykes-Joyce, Midland Contemporary Art Exhibition, Arts Review, Summer Issue, 1988. Gordon Burn, Athena Art Award, Sunday Times, Magazine, 8/2/87. 2002 SMOG, The London School of Hygiene & Tropical Medicine, London. New Potatoes, Lethaby Gallery, Central Saint Martins College of Art & Design, London. Co. curated with Henna Harri, (Finland). 2001 – Curated ‘Foreign Bodies, 2000, and 2001’ a site specific exhibition of students work from Central Saint Martins) at the London School of Hygiene and Tropical Medicine. Award from Wellcome Trust and Gulbenkian Foundation, art science collaborative projects at the London School of Hygiene & Tropical Medicine. Advisor and selector for the Commissions Programme. The Barents Region, (Finland, Norway, Sweden and Russia). This entry was posted in Uncategorised on 25th January 2016 by Pam Skelton. This entry was posted in Uncategorised on 27th November 2015 by Pam Skelton.